Hoddinott, William (Paul), P. Eng. 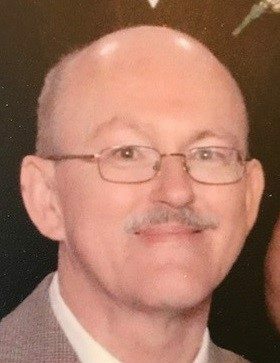 – Passed peacefully away at Pleasantview Towers on Sunday April 22, 2018, after a lengthy illness, William Paul Hoddinott, age 63 years. Predeceased by his father, Levi Hoddinott in 1988. Leaving to mourn his loving wife, Madonna (nee Drew); children: Jonathan, Christopher and Christina; his mother Beryl Hoddinott; sister, Dr. Sharon Grainger (Chris); brothers: Roland (Agnes) and Terry (Rennie); also many nieces, nephews, other relatives and friends, especially his good friend Clayton Bailey. Thank you to the nursing staff of 1 North West for their exceptional care, compassion and professionalism. Cremation has taken place. Visitation will take place at Carnell’s Funeral Home, 329 Freshwater Road on Monday, April 23rd from 3 p.m. to 9 p.m. Funeral service to take place on Tuesday, April 24th, 2018 at 10:00 a.m. from the Carnell Memorial Chapel. Private interment to follow. In lieu of flowers, donations in his memory may be made to the Canadian Diabetes Society or the Heart and Stroke Foundation. Donna: Sincere condolences from me and Joe. Thinking of you and your family. My deepest condolences to you and your family. May happy memories help you during this difficult time. Madonna and all of your family. I was so sad to learn of Paul’s passing. My sincerest condolences to all of you. Know that Paul has not been well for a very long time. This must be a very difficult time for you. I wish all of you the very best after such a very difficult time in your lives. please take care as you recover from this sad time. My thoughts are with always. Madonna and Family; Peter and I extend our sincere condolences to you and your family. May God’s love enfold and comfort you as you celebrate Paul’s life. Oh Madonna my heart goes out to You, Christina, Christopher, Jonathan and your family. Thoughts and Prayers with you all to get through this difficult time. Madonna and Family, Please know you are in my thoughts and Prayers at this most difficult time. Madonna, please accept our sincere condolences. RIP Paul. Our prayers and good thoughts for Madonna and family. Good memories keep those who have gone to Heaven, in our lives every day. May Paul rest in peace, and the family share in his comfort at God’s presence. We wanted to send our sincere condolences to you Madonna and all the family. Please cherish all your wonderful memories and thus will keep your loved one with you always. Please know that you are in my thoughts at this very difficult time. Paul is now at rest. My sympathies to Madonna and family. Hi Madonna and family: Moya and I were sadden to hear of Paul’s passing. We remember fondly when we were neighbours on Yetman Drive, the children growing up together and the many times when friends and acquaintances got together over drinks and good food. May the good times that were shared bring comfort to you and your family. May Paul’s gentle soul rest in peace. God bless you all. Sincerest sympathy. Norm & Moya. So sorry to hear of Paul’s passing. My deepest sympathy is extended to you and your family. I hope your wonderful memories will bring you comfort in the difficult days ahead.